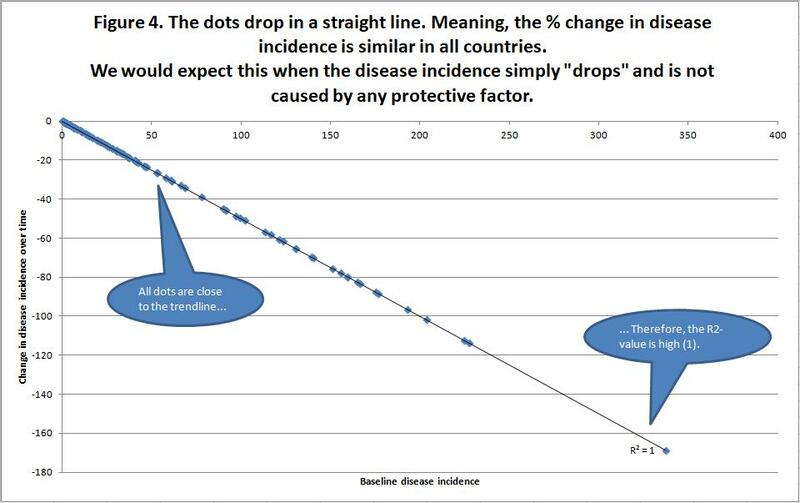 When we relate changes in diseases incidence over time to incidence rates at the beginning of this period, we see that the dots in the graph are in a straight line. 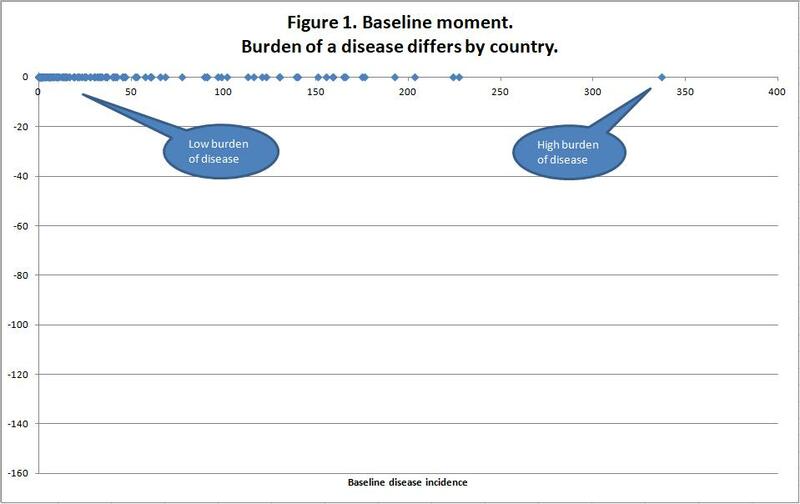 We are looking at: the change in disease incidence per country over time. And are comparing this to: disease incidence at the beginning of this period. The dots for the different countries are in a straight line. What does this tell us? I will try to explain this to you, using 4 graphs. In this example, we will look at data from multiple countries. And disease incidence will decrease in these countries. Let’s say we will look at the change in incidence over a 10-year period. 2) Now we will take a look at what would happen during the 10-year period. The disease incidence decreases. Therefore, the dots will drop below their initial horizontal line in the graph. If we suppose the decrease in incidence is caused by a protective factor, it is most likely that countries are exposed to this protective factor in varying degrees. b) The dots drop in varying degrees. 4) What would it mean if the dots are all/mostly close to the trendline? b) In the unlikely situation that all countries are exposed to the protective factor(s) to the same degree. 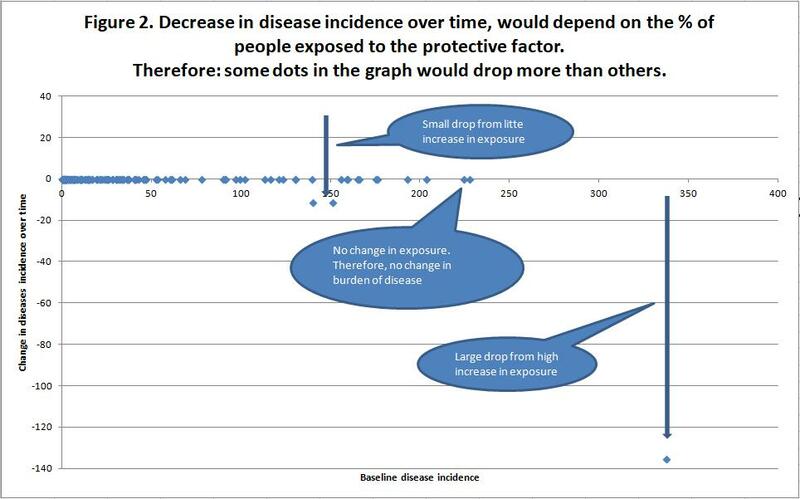 We can test hypothesis b) by linking baseline disease incidence per country to changes in exposure to the protective factor over the 10-year period. 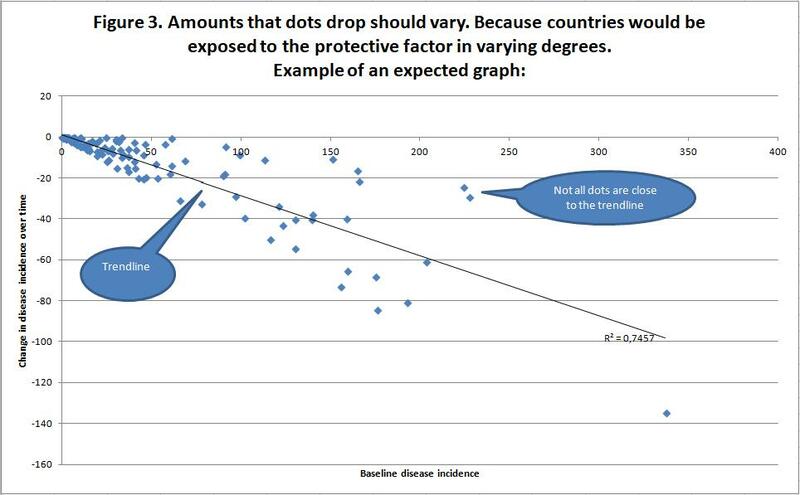 When these dots then are not in a (somewhat) straight inclining line, exposure to the supposed protective factor differs by country. This suggests, there may not be external factors which caused the decrease in disease incidence.